JERUSALEM, March 30, 2015 - Former Israeli Prime Minister Ehud Olmert (C) waits in a court room before a hearing at Jerusalem's District Court, on March 30, 2015. 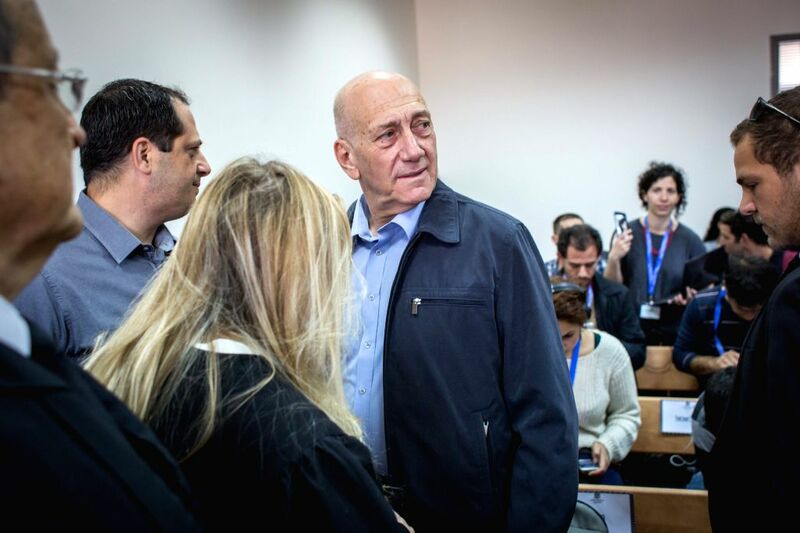 Former Israeli Prime Minister Ehud Olmert was found guilty on charges of corruption in a trial in the Jerusalem District Court on Monday. 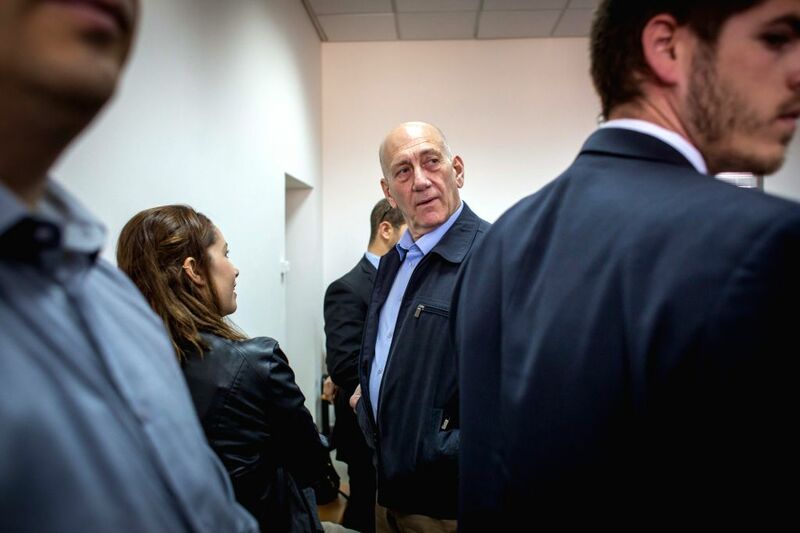 Olmert was acquitted in what came to be known as the "Talansky Affair" in July 2012. He was suspected of illegally receiving large sums of money in envelopes during fundraisers from U.S. businessman Moris Talansky and was charged with fraud and tax evasion.